Marine archaeologists in Hawaii have documented for the first time, and in rich detail, the wreck of one of the first casualties of the Japanese attack on Pearl Harbor 74 years ago. 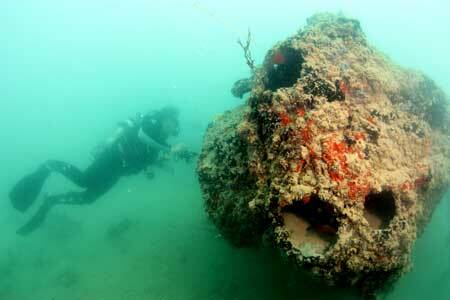 The wreck is of a seaplane, or “flying boat,” found under 9 meters [30 feet] of water near what was once the U.S. Naval Air Station on Oahu’s Kāne‛ohe Bay. The station was bombed several minutes before the infamous attack on Pearl Harbor the morning of Dec. 7, 1941, in an effort to prevent the long-range seaplanes, known as Catalina PBYs, from following the bombers back to their carriers. Twenty-seven PBYs were destroyed in the attack, and three were damaged. Only three of the planes, which were on patrol at the time, survived. The exact identity of the newly documented aircraft isn’t known, but archaeologists speculated that it may have been bombed as it scrambled to take off, in which case the remains of its crew may still be enshrined in the wreckage. “The sunken PBY plane is a very important reminder of the ‘Day of Infamy,’ just like the USS Arizona and USS Utah,” said Hans Van Tilburg, a maritime archaeologist with NOAA’s Office of National Marine Sanctuaries, in a press statement. Using new photo and video technology, a team of marine researchers with The University of Hawaii’s Marine Option Program revisited the wreck in June and produced the first comprehensive mapping and visual documentation of the aircraft. “The new images and site plan help tell the story of a largely forgotten casualty of the attack,” Van Tilburg said. 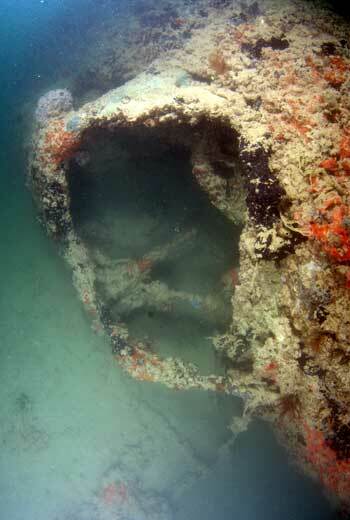 The vessel sits in three large pieces, with the wings, cockpit, and one of the engines visible, though largely covered with silt and overgrown with coral. Earlier dives to site discovered compelling evidence that crewmen had scrambled to get the plane airborne, before a Japanese depth-charge ripped through the port side of the fuselage. The anchor was found still in its anchor well, for example, and the arrangement of the mooring cables suggested that plane remained tethered to the buoy where it was moored. But in the cockpit, the port engine engine throttle was up, perhaps indicating that the plane was being moved toward its buoy to be disconnected. This would seem to refute some accounts from the time that the PBYs were abandoned during the attack. 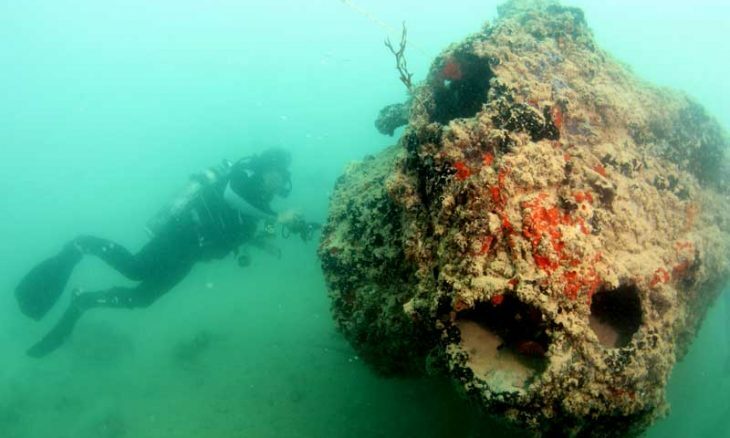 “This sunken flying boat is a window into the events of the attack, a moment in time that reshaped the Pacific region,” said June Cleghorn, senior archaeologist at Marine Corps Base Hawaii, which now occupies the site of the former naval air station. The wreck will remain undisturbed under the Sunken Military Craft Act of 2004, which protects U.S. military vessels or planes, as well as foreign military craft in U.S. waters. But research into other World War II-era wrecks around Hawaii will continue, in partnership with NOAA’s Office of National Marine Sanctuaries.